The Nysmith Smash Bots team competes in the VEX IQ Robotics Challenge and includes the following 3rd Graders: Arjun, Dario, Helena, Kevin, Nathaniel, Sia and Sina. The team is doing GREAT this season and presently has the highest Robotics Skills Score in Virginia in the Elementary School division. They are also currently ranked 12th in the US and 29th in the World! Even more impressive than their STEM skills is their willingness to help others! Their competition STEM Research Project studies how robotics can be used to teach and excite elementary school students about STEM subjects. However, they wanted to do more than research this subject. They wanted to make a difference! The team decided to sponsor a robotics club at an elementary school that didn’t have one. 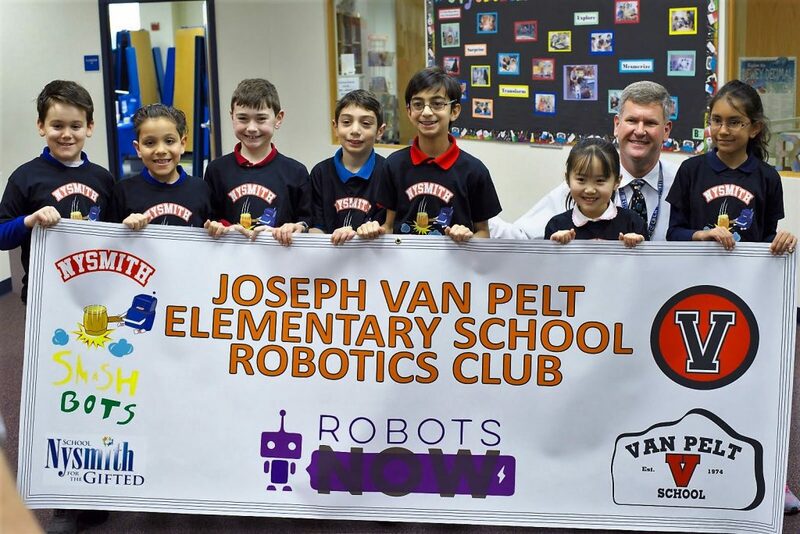 RobotsNOW, a 501(c)(3) nonprofit organization, founded by Nathaniel’s brothers, Chandler (Nysmith 8th Grader) and Gabriel (Nysmith ’15) helped them raise money and sponsor a Robotics Club at Joseph Van Pelt Elementary School. Last week, the team donated the necessary robotics equipment and provided a fun robotics demonstration in front of the entire school! In addition to the students, members of the team also shared their robotics experiences with a Bristol VA Public School Board Member, the Principal, and reporters from the local television news station and newspaper. 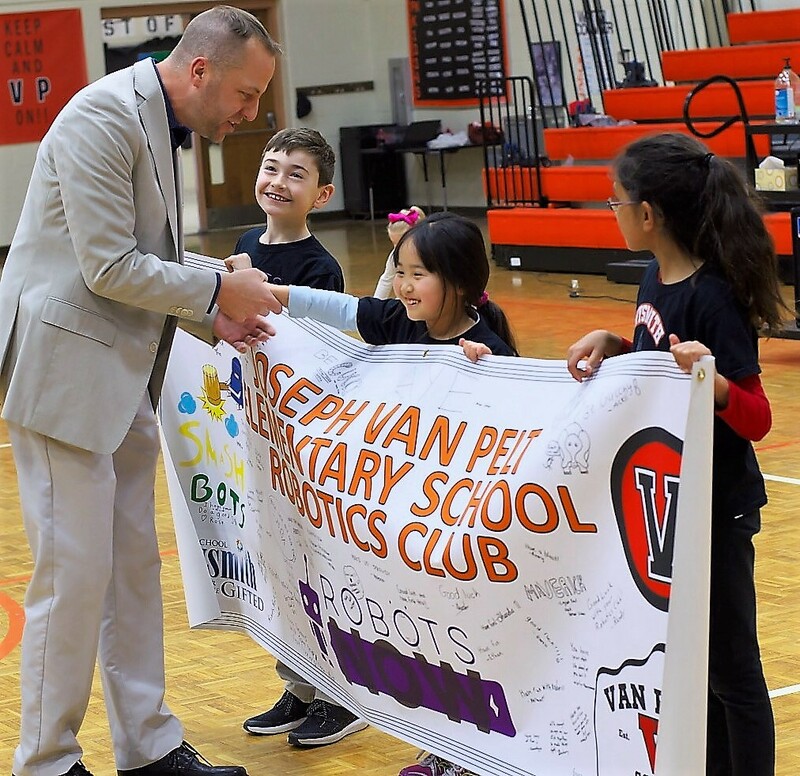 Because of the team’s hard work and commitment, the school is immediately launching a 12-person robotics club with plans to significantly grow their robotics program next school year. Seven 3rd Graders believed that they could make a difference…and did.